So you’re staring right ahead of you, anticipating the arrival of the bus scheduled to take you to work. When all of a sudden you hear a loud bang behind you. You turn and it was a bike man who hit a car, leaving about 5 people injured and a child instantly dead. Your boss had announced earlier that you were to make a presentation to a client that morning. The presentation if successful, is supposed to get the organization some profit ranging millions of dollars. A crowd has gathered at the scene where the accident happened. While you stared and empathised with the casualties of the accident, the bus you were waiting for had gone. The accident apparently wasn’t on the lane you were on. You waited to get another bus but this time, the traffic had begun to affect the lane you were on and so It took you a while to find one. According to Cambridge dictionary, Focus refers to the main or central point of interest or attention. You know what honey, Focus doesn’t negate the presence of distractions. Therefore learning to focus on the "real thing" in the midst of life's drama is a must have skill. 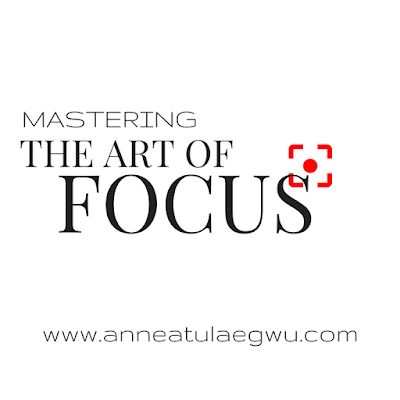 Three things I need you to hold on to as we examine the art of focus are light, distractions and object. If you’ve been to a live stage performance, you will notice that there’s a main/prevailing light focused on the performer (object), there could be a choir or team of backup singers on stage that we don’t see but hear. Now the “prevailing light” doesn’t leave the performer to zoom on the backup singers. To do that would be to distract the audience from the artist. Same way, we need to know that there is a prevailing light cast on people or things every moment of our lives. The prevailing light holds our focus or attention. · Is my current focus a thing of worth? 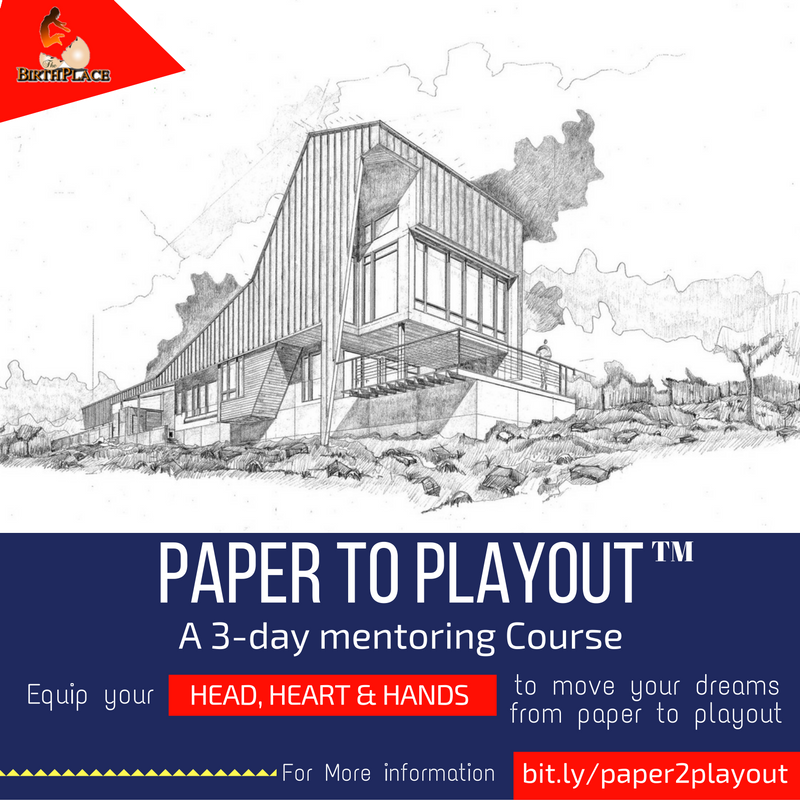 · How do I control my mind to stay on what is most important? 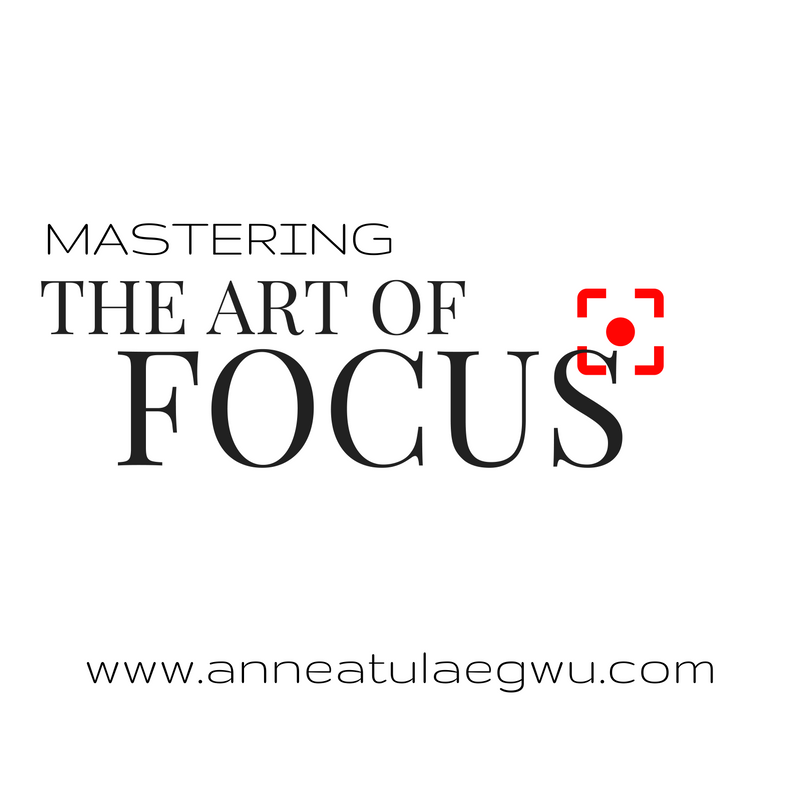 To truly ascertain the worth of your focus and be able to keep your mind on it in the midst of distraction is to gain mastery over the art of FOCUS. Distraction accounts for 90% of road accidents daily. From texting while driving to phone calls, to retouching makeup, to looking too long at something by the corner and more. While road accidents seem like the obvious consequence of distraction, it causes many major accidents in other aspects of life- career, ministry, spiritual life, relationships, marriage and more. Look into your life sincerely, you will agree with me. If everyone has a focus, what’s yours then? To determine your the focus of your life answer these questions sincerely. 1. What do I think on when I first awake in the morning? 2. Who do I think about first thing in the morning? 3. What are my most important(high priority) goals right now? 4. What do I consider when making decisions? 5. Who do I consider when making decisions? 6. Do I readily make sacrifices in other to achieve these goals? 7. What am I readily excited about? WHAT MAKES A FOCUSED PERSON? In plain English, Focused people have Objectives, Strategy and Commitment. Do you really have those? Review: Focused people consistently review the object of their attention in light of their clearly stated goals. when faced with seemingly important things, you must ask " how does this bring me closer to the stated objective". if the answer isn't positive and such that can help with your goal within the stated time frame? Then it is a distraction. Distractions are often subtle. They could be important too but again, the goal in front of you determined what's actually more important. Refer to our opening story. If you had reviewed your attention (on the scene) you would have realized that your focus was broken. You were in no position to help the victims you had no car to pick them to the hospital. you had a phone with which you have called the paramedic team while you moved on but you stood watching while the bus went by. Everything appears to be worth our commitment but there's really one thing that matters per time- THE GOAL. it is our responsibility to redress our commitment consistently. While you clearly identify your objectives for career, marriage, ministry, relationships, business and others, while you engage wisdom and strategically approach your goals consistently (commitment), there are a few things of worth I’ll encourage you to focus on. Seeking and Setting is the mechanism used when attempting to focus a camera or video lens to best view an image. Seek (search out) God’s opinion in matters and Set (establish) your mind on it. When you do this, you see through the eyes of Christ and become fearless and more productive. FOCUS ON THINGS ABOVE. This clause doesn’t suggest we should be heaven focused/bound and earthly useless. Rather says, keep your mind on the real thing from where you draw sufficient light to make a difference in a dark world (on any sector or platform). Proverbs 23:19 says, “Listen my son, and be wise and set your heart on the right path. The right path isn’t a system of operation. Neither is it an organised thought pattern nor mode of operation per say. The right path is a person – JESUS. FOCUS ON HIM! Why would he set his heart/focus on God’s decrees? Because “the law of the Lord is perfect, converting the soul and the testimony (decrees) of the Lord is Sure (certain) making the simple wise. “ Psalm 19:7. The decision to focus on God’s decrees is the best you would ever make after the decision to have JESUS in your heart as Lord and Saviour. Cheers to the focused you!!! Hey! Join the Paper to Playout mentoring Session coming up soon!